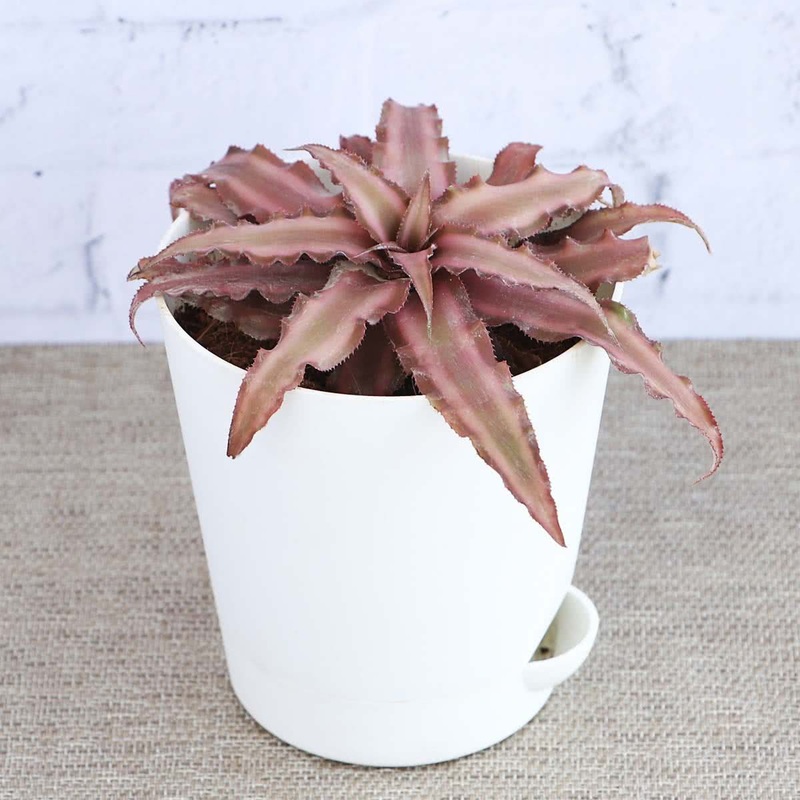 Plant Description: Earth stars or Cryptanthus are prized for their attractive foliage rather than their flowers, which are typically nestled, "hidden," in the centre, hence the name: cryptos+anthos (hidden flower). These are unusual looking flat plants with colourful, star-shaped, rosette arrangement of leaves. Because Earth stars are moisture-loving and not subject to fungal problems, they are excellent plants for terrariums. Growth Habit: Low growing perennial bromeliad. Average Landscape Size: Planted at distance of 1 x 1 ft. Soil: A potting mixture consisting of equal parts of garden soil, leaf mould, compost, and sand plus right quantities of pieces of bricks and charcoal suits the plants. Pot Size: 8 to 12-inch pot. Potting/Transplanting: The pot selected must have proper drainage holes. To prevent water logging, cover the drainage holes with broken pieces of earthen pots or brick pieces before putting the soil. Transplant the Earth star sapling in a pot along with root-ball of original the soil. 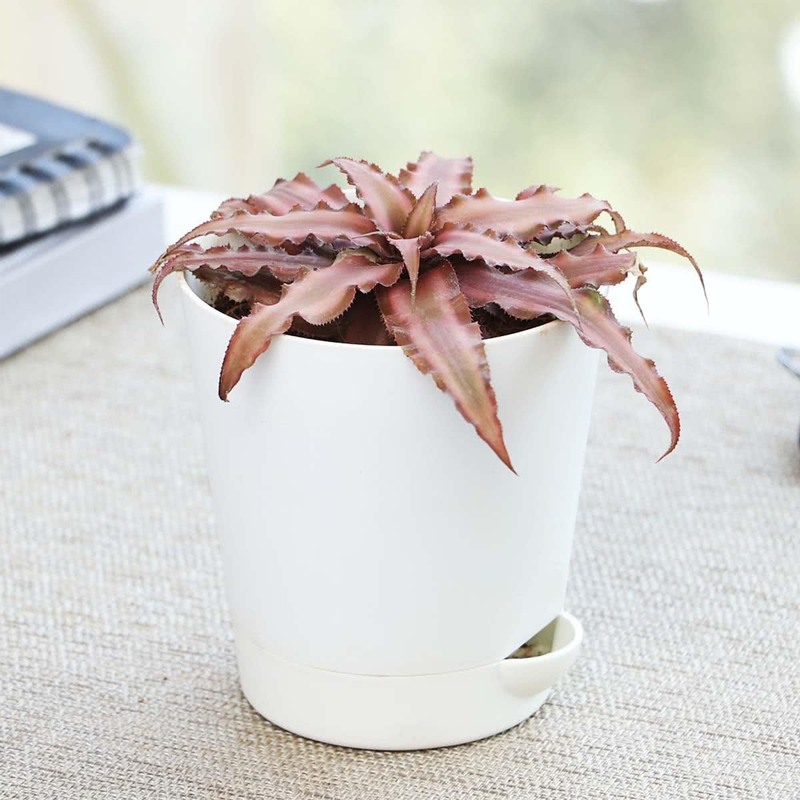 Carefully place the plant in the middle of the pot & cover the roots completely with remaining soil. Repotting: Earth star should be repotted every two years. Sunlight: Plant needs shady locations. Water: Moderate watering needed once a week. Fertiliser: Add compost to the pot every 3-4 months. Temperature: Hot climate suits earthstar plant. Humidity: Earth star prefers high humidity. Pruning: No pruning is needed . Propagation: Earth star can be grown from suckers. Companion Plants: Jade, Ferns, Aloe, Syngonium, Haworthia. 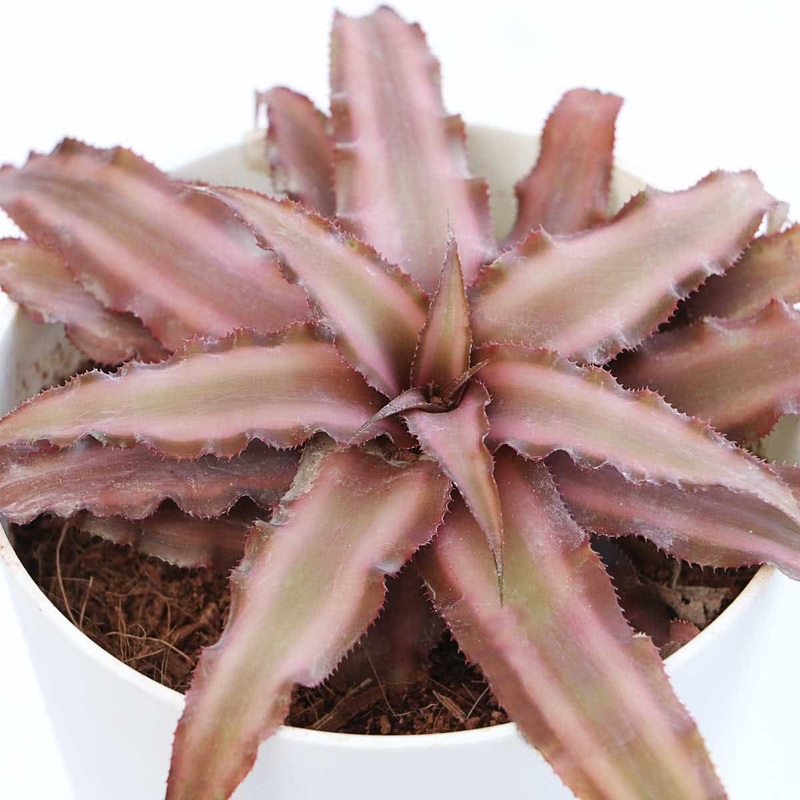 Unusual looking flat plant with Colourful, star shaped, rosette arrangements of leaves.